Rayna Tan is an agent with Fidelitas. Fidelitas is the name given by the founders a generation or two previous to a small cadre of very wealthy people who wanted to do more to improve the lives of normal people by taking out through one means or another those the group felt were being the most troublesome. They did not go after country leaders and the like but rather aimed a tad lower to get the middle-level miscreants. If a CEO of a pharmacheutical company was price gouging or even withholding from the market a beneficial drug, that individual might be targeted. Upper level drug lords were another popular target. A small but dedicated staff worked to carry out the wishes of the group and that included a very small handful of operatives able to take the ultimate step should other means prove insufficient or unworthy. 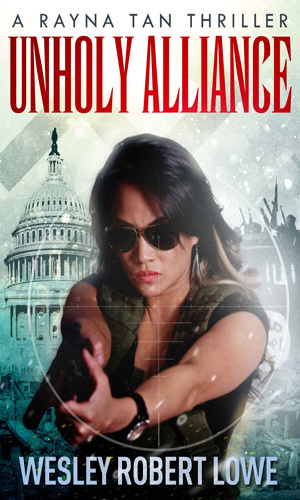 Prior to becoming a member of this highly elite group, Tan had been a part of an equally elite, though not so clandestine organization, Joint Task Force 2. 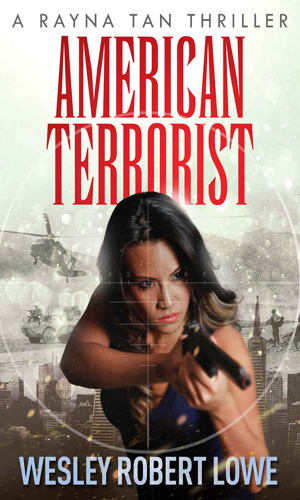 To use the excellent description given in the prequel novella to the first books, "JTF2 is responsible for protecting Canadian National Interests, specifically combatting terrorism, both at home and abroad. They were founded on April 1, 1993, when the Canadian Armed Forces received responsibility for federal counter-terrorism operations from the Royal Canadian Mounted Police (RCMP). Since formation, the unit has continuously evolved to meet 21st Century threats. Their unique skills, ability and importance are recognized globally. Crucially, JTF2 is the only foreign special operation unit to be accepted into American Tier 1 Special Operations Units, right alongside the Delta Force and Navy Seal teams." He goes to state "Three years prior service in the regular forces is required before an application will be accepted. Qualified candidates must demonstrate exceptional leadership skills, discipline, resilience and courage, as well as meet physical standards. All operators must work well on their own or in a team and share responsibility for achieving mission success. They must be professionally and personally mature, with a highly developed sense of duty, integrity, and judgment. They must also be intelligent, creative, dependable, self-reliant and proactive, as well as confident yet aware of their limitations, and work best under pressure and under demanding circumstances. Only a fraction of the qualified applicants are accepted into JTF2." Rayna Tan has been in the Service in one form or another for most of her adult life. When we first meet her, in the prequel, she is 26 years old and has been a member of JTF2 for three years. As it is stated above, a would-be member of that group had to have already served in the military for three years, that puts her enlistment at around age 20. After that much activity, she has definitely learned which end of a rifle to point and who to point it at. This was vital for those being considered to work with Fidelitas because that meant the first stage of training had already been accomplished. Once accepted into the fold, though, the real training began. Rayna Tan has not been an agent with Fidelitas very long before she is sent against terrorists in Syria. They had just released a video showing horrific actions in a small village 'starring' a particularly vicious executioner fond of beheadings and vowing to 'light up America'. 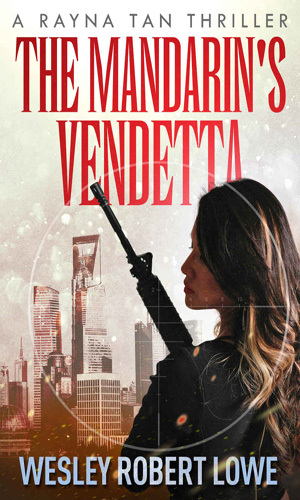 When the Fidelitas team with Rayna Tan involved head to China to bring justice to a group of elite who caused the deaths of thousands of schoolchildren, they learn of a horrible plot against America using a new, very deadly drug. The term 'unholy alliance' definitely fits when a group of white supremacists team up with radical Islamic terrorists to destroy the Holocaust Museum in D.C. which is holding an anniversary gala attended by a large number of world leaders. It is up to Rayna Tan and her Fidelitas team to stop them. 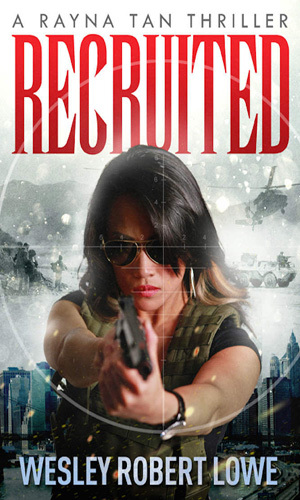 A prequel to the first books, this novella explains why Rayna Tan chose to leave the elite Joint Task Force 2 to become an agent with the very secretive Fidelitas. One thing I learned right off about Rayna Tan is that making her mad is a very bad thing to do and that really got me liking the series from the get-go. Not that I have a thing for ticked-off women but because she shows over and over that she is not someone you made angry. The plots of these novels are very interesting and the writing is smooth and enjoyable. Good action adventures but with a female protagonist instead of the traditional male. The main character is quite well developed and I for one got to thinking I had a good sense of who she was, enough to really enjoy her exploits. This is an on-going series so we can hope for more kick-behind action from Ms. Tan.